Custom-made leather goods and accessories. Our leather keychains are fun, affordable, super-customizable accessories you can sell to promote your company, campaign, or event. Interested in ordering something custom? Have something very particular in mind? We love to work on unique projects. Absolutely. Steven shows up with a bunch of pre-cut keychains and an embosser and stamps them with whatever text your attendees want. People really, really like going home with a customized keychain from your event, and they will beg you to invite us back for your next event. Boy howdy, do we. 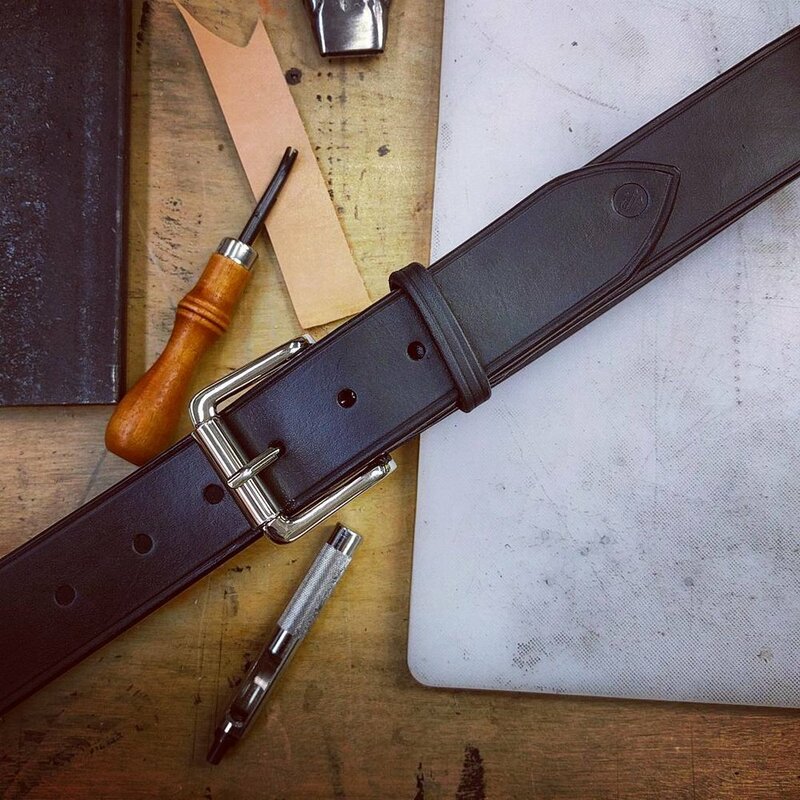 Founder Steven teaches private leatherworking classes where you can take home your own handmade bags, wallets, belts and other leather goodies.